Dungeons and Dragons meets lawn boiling. It sounds weird but stunning graphics and fun gameplay makes this unique D&D title a winner. 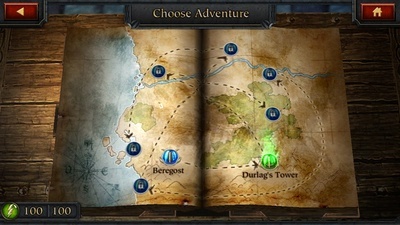 The first thing you will notice when you open Dungeons and Dragons: Arena of War is the quality of the graphics. This game is gorgeous. The look and feel of this game will appeal to most RPG fans. Many won’t be used to seeing such a good-looking game for the mobile market, particularly a free game. 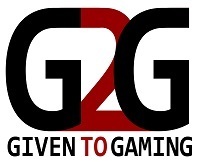 Gameplay is fairly simple. 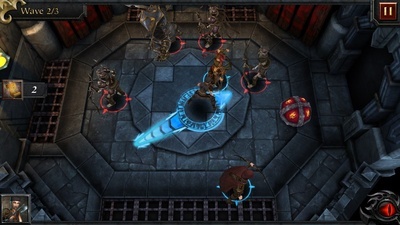 Player must propel their hero and teammates towards the enemies presented during each battle. 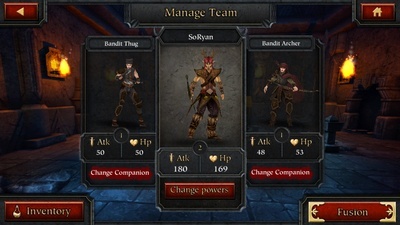 Enemies are driven back and can be dealt additional damage by hitting other heroes, enemies, or traps on battle map. This type of gameplay looks a lot like lawn bowling or curling gone medieval. Battles often have more than one wave of enemies. To move through a battle, a player must have their hero or one teammate alive at the end of the battle. Heroes and teammates level up by winning battles. Heroes have a level cap of 30 but teammates can only reach a level of eight. Teammates are also weaker than heroes, and can make some battles impossible to win. Luckily, heroes can call on the help of other heroes on their friends list, adding a great social aspect to the game. 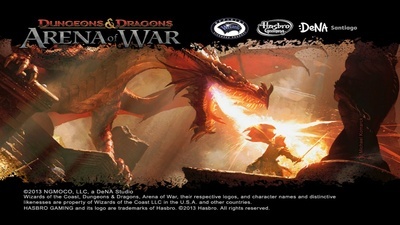 Dungeons and Dragons: Arena of War also has a neat Powers and Fusion system, which allows characters to gain extra power.